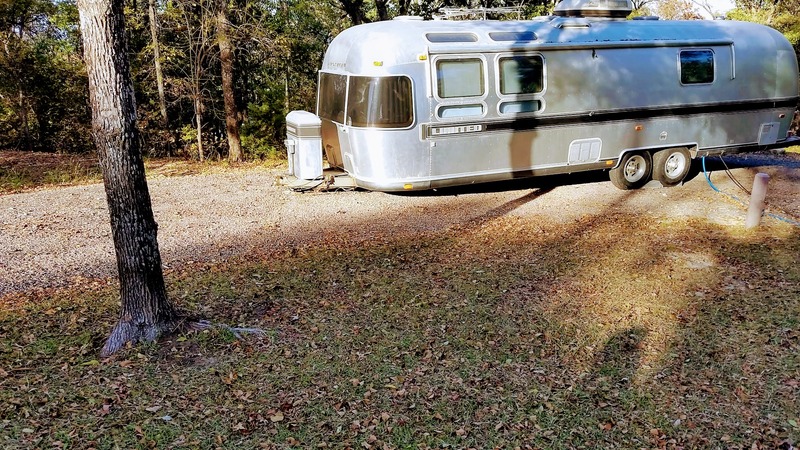 Some full time traveling RVers set out to visit all the National Parks. Others plan their journeys to see as many minor league ball parks as they can and more than a few focus on seeing the grandkids who are scattered around the country. I think, though, that we have a corner on doing animal highway sketching! At least this year, we did a pretty good drawing of a dog. Honestly, it was only after I began planning our 2017 Adventure and I started mapping it out that I realized we were drawing a dog. Next year we’ll likely go back to drawing nondescript maps of amoebas. We have had a nice stay at Eisenhower State Park, Denison, TX. We came to Denison so I could fill in for a pastor friend while he took Sabbatical leave. 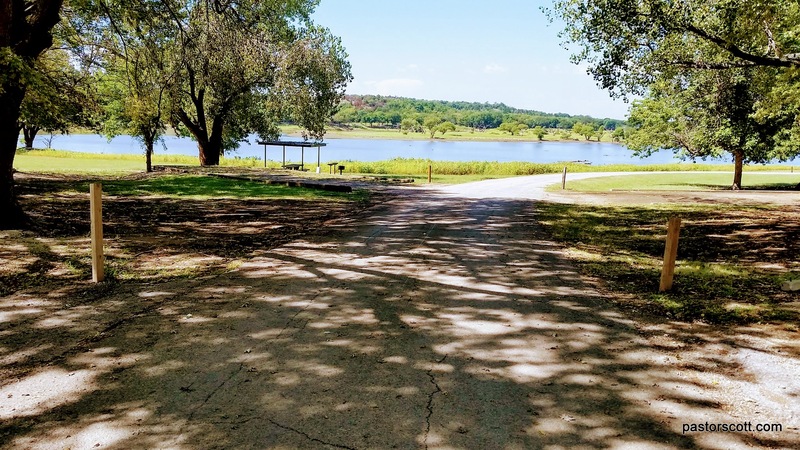 The park is located on Lake Texoma and features a large marina and multiple camping areas. However, only the Bois D’Arc Ridge loop has full hookups. We enjoyed the beautiful wooded campground with its herd of deer and other assorted wildlife. The neighborhood roadrunners are comical birds that are especially fun to watch. The campsites in this area are all pull-throughs, with each site a small loop off the road. That means everyone’s back is to the road, creating a sense of privacy even when the campground is full. The biggest negative is that many of the sites are rather unlevel both side to side and front to back. Some are so bad that only a small camper has any reasonable hope of getting level. Also, in addition to bringing along plenty of leveling blocks be sure to bring extra sewer hose as the connection is seldom in a spot that will let you get level and be close to the sewer connection at the same time. And, even though the lake is very close by, there are no lake views to speak of. Toward the end of our stay the trees had dropped enough leaves that the lake could be seen through the forest from a few spots but there was nothing like a real lake view from this camping loop. I really should mention the hedge apples. Some of the sites have trees with this softball sized fruit on them. 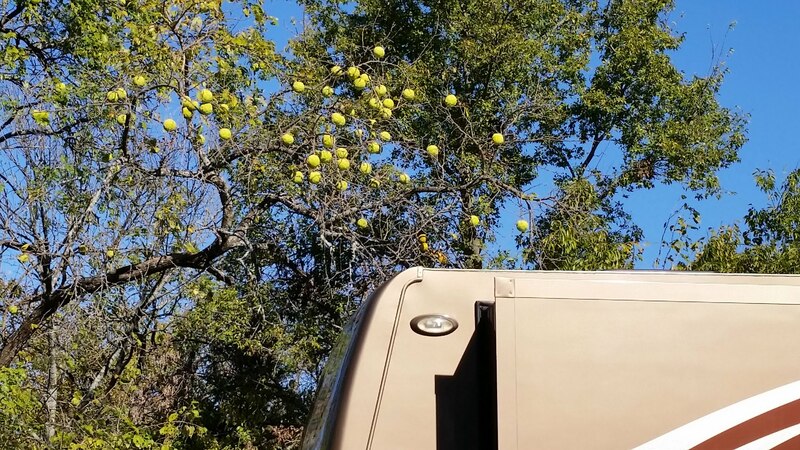 You certainly don’t want to park your RV under one of those trees in the fall! 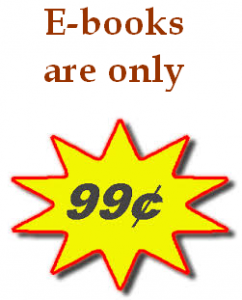 I really don’t mean for this to be a negative sounding review. We like this park a lot. The staff is friendly and easy to work with. Unless you arrive on a busy weekend, they will let you drive around and pick a site rather than stay in the one assigned. Also, if they know you are in a bigger rig they will try to assign you one of the longer, somewhat more level spots. 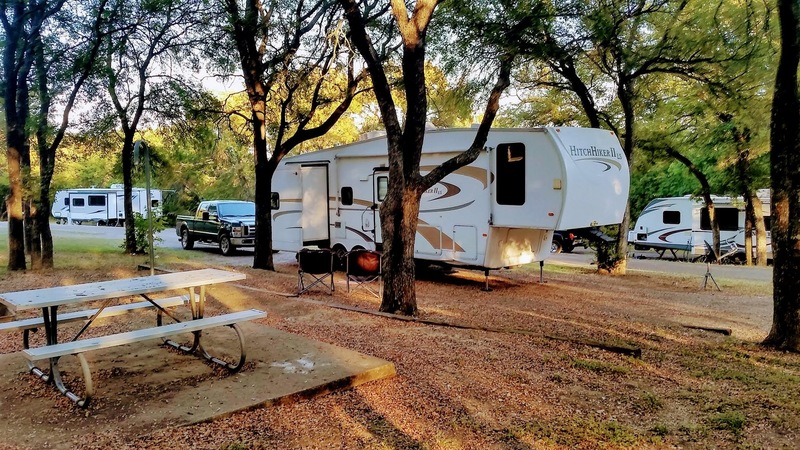 The campground is just a few minutes from Denison with its restaurants, Walmart, and about any other business you might need.